We might be losing NightQuarter at Helensvale, but another live-music venue could soon pop up on the Gold Coast. 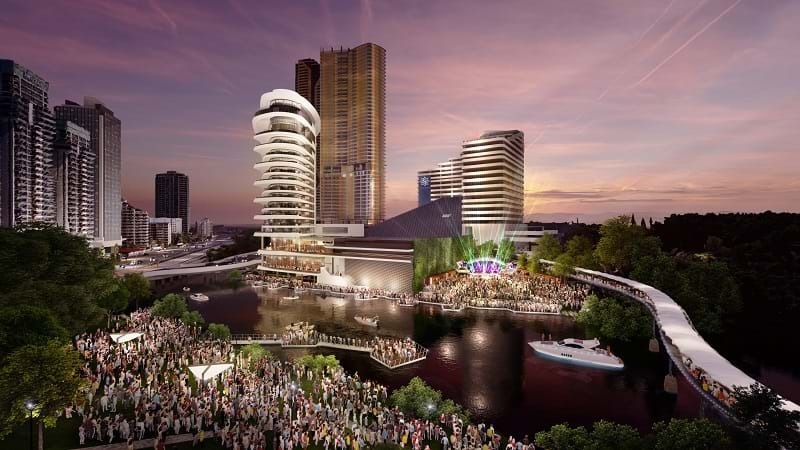 The Star is looking at building an open-air stage in the park next to its Broadbeach casino to cater for crowds of up to 1,500 people. Star Entertainment Group CEO Matt Bekier said the plans included a stage and portable food and beverage outlets to cater for events from "full-scale concerts by world-class bands and performers, to family-friendly picnic events like Carols at Christmas, to smaller more intimate offerings like string quartets". "The way we intend to position the stage on our property will enable people in the park to be close to the action, have a great view and be part of the overall atmosphere," he said. If approved, bands and artists could be hitting the stage by the end of the year.